Joel 3 is a prophecy of the conflict that engulfs Israel at the time of the end when Gog and his allies invade and overpower the Jewish state, only to find themselves overthrown in turn by divine intervention. The prophecy says that “all the nations” will be involved in this judgement. Zechariah also speaks of how “all nations” will be gathered to Israel for this judgement, and draws attention to the fact that Jerusalem will be central to this conflict: “On that day I will make Jerusalem a heavy stone for all the peoples. All who lift it will surely hurt themselves. And all the nations of the earth will gather against it” (12:3). They scattered the Jews among the nations. This has been fulfilled in the nearly 2,000 years that have passed since the Romans destroyed the Jewish state of Judea in AD 70. They have divided up my land. This is a more modern phenomenon, and may be regarded as having commenced in 1947 when the United Nations voted for the partition of Palestine into two states, one for the Jews and one for the Arabs. In 1947 the Jews accepted the partition plan for Palestine and went on to establish the independent state of Israel in 1948. The Arabs did not support the partition plan and launched a bitter war hoping to destroy the Jewish state at its birth. They failed in that War of Independence in 1948 and 1949 and in several wars since. 69 years later, the nations of the world in general continue to support the partition of the Holy Land into separate states for Jews and Arabs. Even the Israeli government officially endorses this view. On 15 January 2017, the French government convened a conference in Paris to discuss the Middle East peace process. Attended by representatives of 70 nations (a significant number in the light of the seventy nations listed in Genesis 10, the number of Israelites in Genesis 46:25 and Exodus 1:5, and the words of Moses in Deuteronomy 32:8), the conference reiterated support for the so-called “two state solution” to the Israeli-Palestinian conflict. 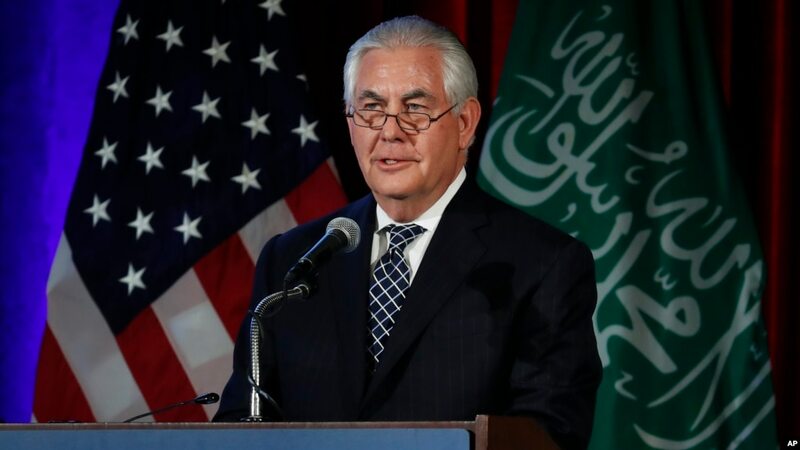 The United States was represented by outgoing Secretary of State, John Kerry, known for his animosity towards the Israeli government, but not by anyone associated with the administration of incoming President Trump. The United Kingdom attended as an observer only rather than as a participant. There were no representatives at the conference of either the Israeli government or the Palestinian administration. No doubt Mr Netanyahu was referring to the fact that in just a few days the new Trump administration will assume office in the United States. But like the words of Caiaphas in John 11:49-52, his comments could also be read as an unintended “prophecy” of the imminent return of the Lord Jesus Christ. This conference in Paris is just the latest in a long list of ineffective initiatives to promote peace in the Middle East. More importantly, however, it is further confirmation of the truth of the words of Joel about all the nations being judged by God because of their determination to divide God’s land. 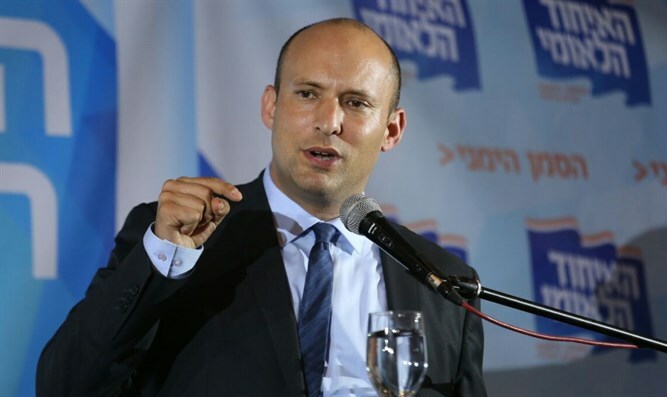 Israeli Education Minister, Naftali Bennett, a leader of the Jewish Home Party, recently called on the Israeli government immediately to annex Judea and Samaria, which abut Jerusalem. This area, usually referred to as “the West Bank”, was captured from Jordan during the Six Day War in 1967. In Ezekiel 38:8 the area is referred to as “the mountains of Israel”. Approximately 450,000 Israeli citizens live in the area. Most of them are Jewish, while some are Arab citizens of Israel. At present, they live under the laws of the Palestinian Authority and the land they occupy is regarded by most nations as belonging to the Palestinians. Mr Bennett’s extremely hawkish and provocative suggestion came in the wake of a recent UNESCO statement which denies any Jewish link to the Temple Mount. The Education Minister claimed that the UNESCO statement reflected “the failure of Israel to clearly express Jewish rights to the historic Land of Israel”. He went on to say, “That’s what happens when we don’t treat our own land as ours. The UNESCO resolution is an attempt to deny history. But you know what? You cannot change history. Israel is ours for well over 3,000 years. It will be ours –Jerusalem is ours – but it’s time to apply Israeli law to Judea and Samaria”. In accordance with the confidence of the Israelis that is suggested in the language of Ezekiel 38, Mr Bennett dismissed concerns about the international opposition such a move would trigger with the words, “Don’t fret global opposition; annex Judea and Samaria now!” This bold position may have been strengthened by comments from Donald Trump’s camp in the United States Presidential election campaign. In June, David Friedman, Mr Trump’s co-adviser on Israeli affairs, said that Mr Trump does not believe Palestinian state. He went on to say that, if elected president, Mr Trump would support Israel’s annexation parts of the West Bank. While not calling for wholesale annexation of Judea and Samaria, other Israeli officials have also spoken recently about increasing Israeli sovereignty over parts of the West Bank. Justice Minister Ayelet Shaked is establishing a committee to organize the legal status of land settled by Israelis in the West Bank. This is intended to resolve the concerns of residents of West Bank settlements that their land may be taken from them. Deputy Foreign Minister Tzipi Hotovely, a hard-line member of Israeli Prime Minister Benjamin Netanyahu’s Likud party, in late October publicly promoted the concept of annexing a significant area in the West Bank. She said that, “The answer to the international struggle over Jerusalem is applying sovereignty over Ma’ale Adumim, which will guarantee Jerusalem will always remain united and develop”. Welfare Minister Haim Katz, also from the Likud party Ms Hotovely’s call for annexation. Given the reluctance of successive Israeli Governments since 1967 to annex this territory it is unlikely that Israel would move to incorporate Judea and Samaria (the West Bank) into Israel. If it did so, it would need to manage the demographic challenge of several million Arabs who currently live there. Of course, circumstances can change very suddenly, especially in the volatile political climate of the Middle East, and the fact that there are senior Government Ministers willing to advocate for annexation confirms that it remains a possibility. Whatever the legal status of Judea and Samaria might be in the future, what is certain from Ezekiel 38:8 is that this area will be the focus of the Gogian invasion. It could be that any Israeli move to seize even part of the West Bank could be a trigger that Gog might use to justify his thrust into the Holy Land.